Invaders (Tablet drawn). 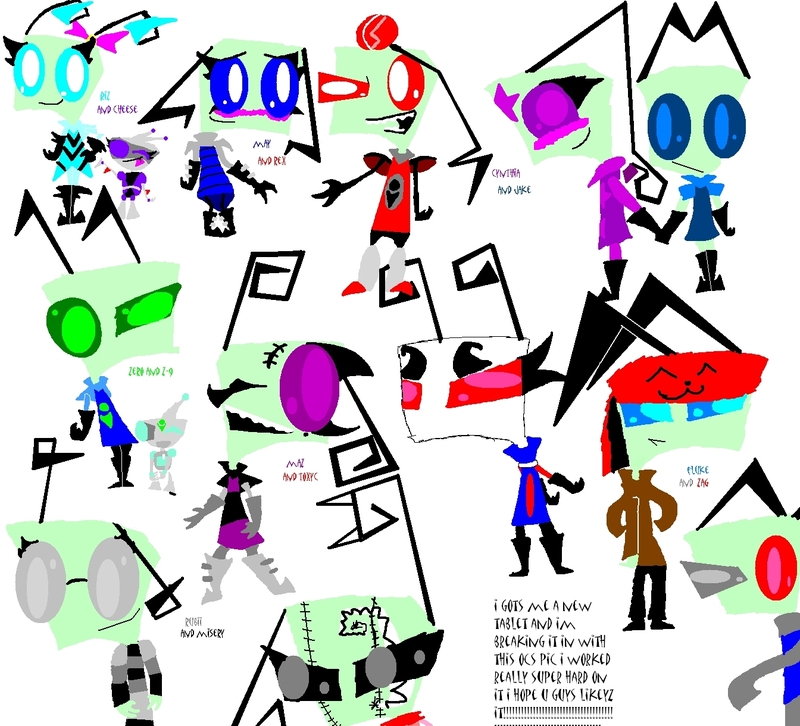 breakin in mah new tablet :D. HD Wallpaper and background images in the Invader Zim FanCharacters club tagged: invader. ZOMG THX SO MUCH IT LOOKS AWESOME!!!!!!! SOOOO COOL!!! you should do another with the ones you couldn't fit in!! Btw you finished soooo quickly an the pics just AWESOME!!! XDDDDDD seriously may XDDDDD THANKS YOUSE GUYS IM GLAD U LIKE IT!!!! and @zgfangirl, i might do that AND THANKS! yus i am a bolt fan...well mostly a rhino fan! I LOVE RODENTS!!!! !